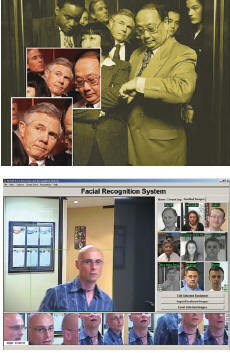 Viisage Face FINDER Patented real-time video technology scans crowds of people and matches individuals to selected faces previously stored in am image database. Viisage Face PASS Supports one-to-one verification of an individual’s identity to authenticate that the holder of an ID document is the authorized user. Viisage Face PROOF Evaluates aggregated information on ID’s and the most commonly used breeder documents as well as a variety of additional data points. Viisage Face TOOLS is a Software Developer’s Kit (SDK) for non-distributed environments designed to enable developers to build application using leading , state-of- art face recognition software for their identity solutions.